Rao, N.K. ; Hanson, J.; Dulloo, M.E. ; Ghosh, K.; Nowell, A.; larinde, M.
Seeds conserved in genebanks are a vital and irreplaceable resource for safeguarding future agricultural options. The capacity of genebank staff to apply good standards for seed handling is hence of critical importance. 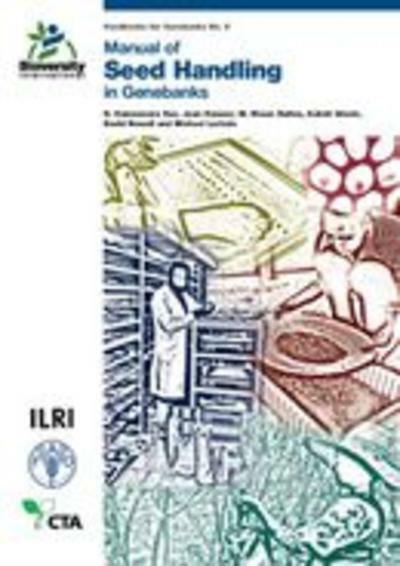 This is the standard reference for genebank work and one of the few sources of practical information for genebank curators and technicians on seed conservation, technology, storage and management. In eight chapters, it covers the entire work flow of a genebank, from germplasm acquisition and registration to monitoring and regeneration. International policies and frameworks of relevance to movement and use of germplasm are also presented, as well as a method for detecting plant pathogens. The manual is complemented by an interactive, on-line self-learning module. Together, the two resources aim to develop the capacity of genebank staff to maintain good practices for seed handling, particularly in developing countries.